Found 2 file extension associations related to Prezi Desktop and 1 file format developed specifically for use with Prezi Desktop. 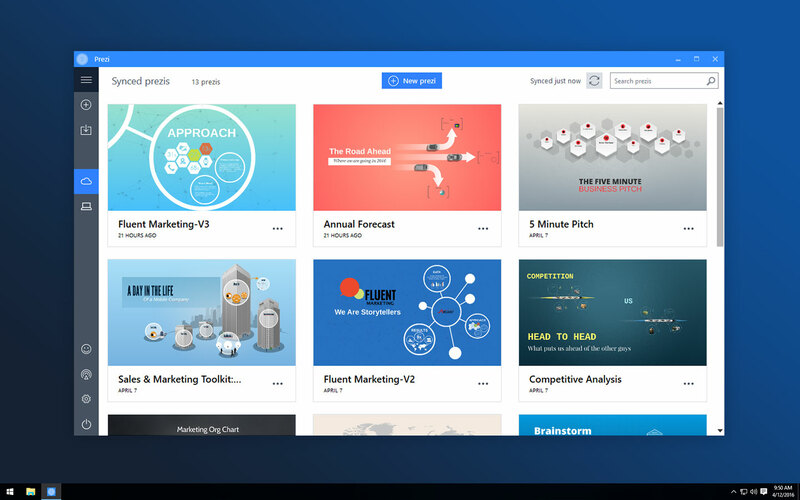 Prezi Desktop allows users to create and save zooming presentations offline. You can install Prezi Desktop on your computer (PC, Mac or Linux) and store files locally, or upload them to your account on Prezi.com. If you need more information please contact the developers of Prezi Desktop (Prezi Inc.), or check out their product website.